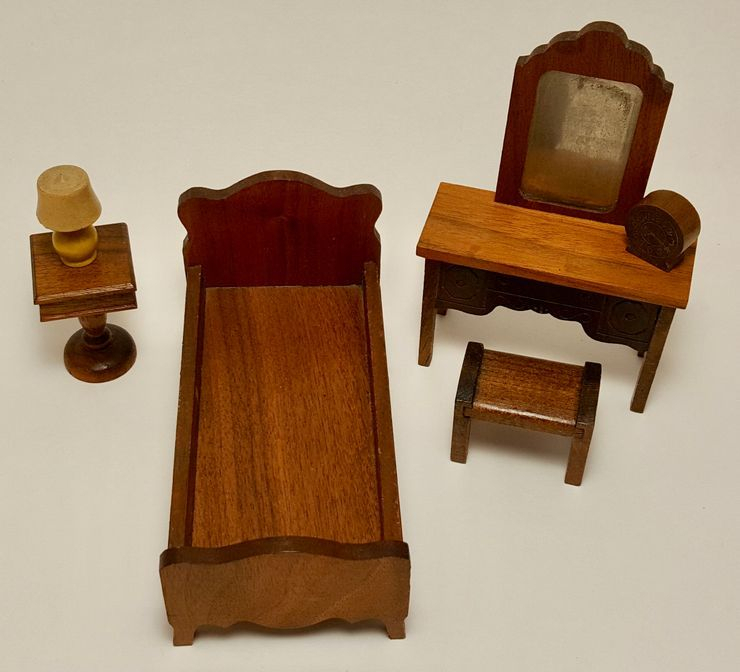 Strombecker 6 piece stained bedroom set in 3/4" scale. 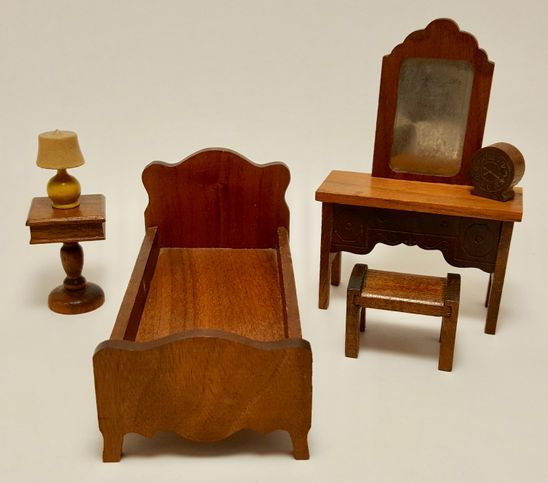 Bed, 4 1/2" long, dressing table with original tin mirror, 4 1/2" tall, bench seat, pedestal side table, wood lamp with yellow base, and a clock. The bench and the lamp are from the "Modern Design" set but I thought they would look ok with this set. Very good condition with light play wear. The impressed gold numbers are a little light.